According to sources, the Season 5's debut of Bellator on MTV2 pulled in a total of 386,000 viewers last Tuesday. Bellator Season 5’s latest offering on MTV 2 garnered a total of 386,000 viewers for the initial and re-broadcast airing of the show from Atlantic City, NJ. Several sources revealed the ratings on Tuesday. According to the ratings, Bellator’s debut on Saturday night at 9pm ET pulled in 235,000 viewers — which is an 18% increase from the last season’s average. Bellator continues their Season 5 tournaments with this weekend’s show in Hollywood, filled with middleweight fighters stepping in for action. 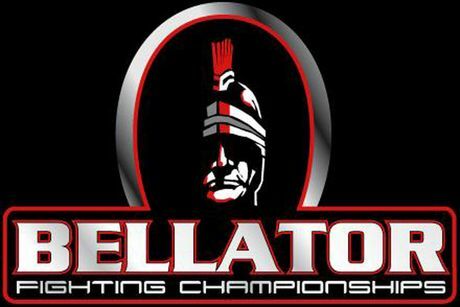 Bellator Fighting Championships currently airs on Saturday nights on MTV2. This coming weekend’s broadcast will actually air earlier than normal, beginning 7:00 PM ET to coincide with the UFC Fight Night card airing on Spike TV at 9:00 PM ET. It's now official! Bellator's Summer Series will now be a complete trilogy event, as Bellator 48 is now slated on August 20 at the Mohegan Sun Arena. The third event of Bellator Fighting Championships’ Summer Series trilogy now has a venue. 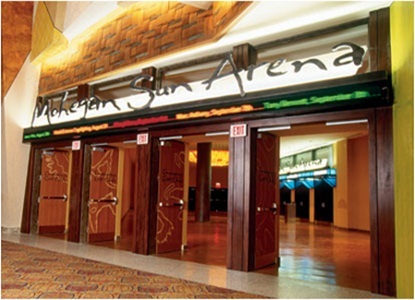 Bellator Chairman and CEO, Bjorn Rebney, announced last Wednesday that Bellator 48 will possibly kick off at the Mohegan Sun Arena in Uncasville, Connecticut on August 20. Bellator 48 will air on MTV2 live, and will feature the last round of the promotion’s latest eight-man, 145-pound tournament. Bellator’s Summer Series will take action on June 25 with Bellator 46, wherein Marlon Sandro, Pat Curran, Ronnie Mann and Nazareno Malegarie will square off against Genair da Silva, Luis Palomino, Adam Schindler and Jacob Devree respectively. The tournament’s semifinals will take place at Bellator 47 on July 23, with Joe Warren defending his featherweight championship belt contra Patricio Freire. With Bellator’s Summer Series now officially pinned as a trilogy event, it’s time to heat the anticipation up. In a duel between David and Goliath, who between Cole Konrad and Paul Buentello will be victorious? Bellator Fighting Championships heavyweight champion, Cole Konrad, will face Paul Buentello in a non-title super fight at Bellator 42. 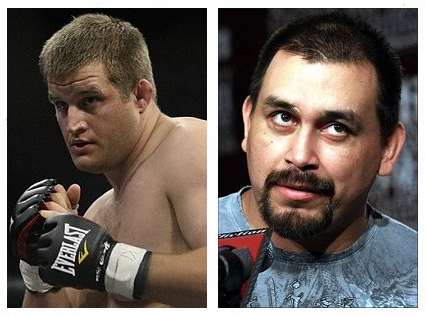 Cole Konrad’s most recent fight was a submission win over UFC veteran, Neil Grove, last October 2010. But albeit he’s unbeaten is seven professional appearances, Cole Konrad knows that the seasoned fighter – Paul Buentello – poses a serious challenge. Paul Buentello, on the other hand, has been in hiatus after his unanimous decision win over Kerry Schall last December 2010. He secured 17 of his 29 career victories via knockout or TKO. 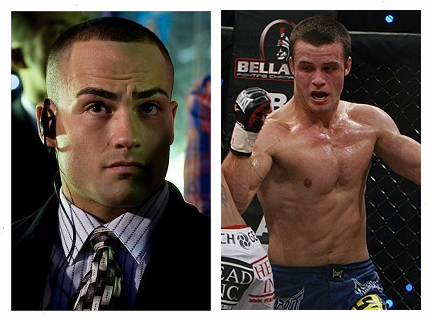 MMA fans are in for some good news, as Bjorn Rebney confirmed that the Eddie Alvarez vs Pat Curran fight is all set for Bellator 39. 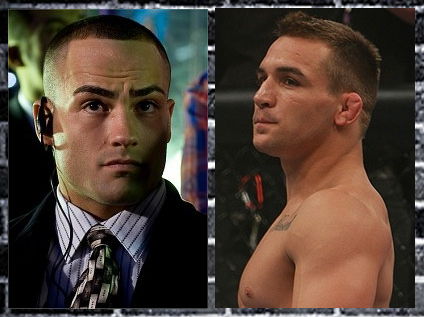 Bellator Chairman and CEO, Bjorn Rebney, confirmed that the once canceled title fight between Eddie Alvarez and Pat Curran is now ready to take action. The lightweight bout pitting the two fighters will take place in Bellator 39 on April 2, at the Mohegan Sun in Uncasville, Connecticut, and will also air on MTV2. Eddie Alvarez is carrying a six-fight winning streak and an 11-1 record in his past 12 fights. Two of his victories came via stoppage over Matt Lee and Joachim Hansen. Meanwhile, Pat Curran has four straight wins and a 6-7 record. He also punched his way in for the title match with notable wins from Mike Ricci, Roger Huerta and Toby Imada. Two fighters with impressive fight record. To whom are you going to place your bet? Bellator Fighting Championships finally has its new home on cable. Starting next year, Bellator will broadcast it fights on MTV2, as the promotion enters a new season. Bellator Fighting Championships finally found its new home on cable after striking a three-year partnership with MTV2. Starting next year, the cable network will broadcast two live 12-week tournaments per year, as well as a collection of special feature events. Bellator’s primary broadcast tandem for its second and third season was Fox Sports Net. However, those broadcasts were met with dissatisfaction due to some delay caused by various network obligations. But as Bellator CEO, Bjorn Rebney, announced earlier this year, the Chicago-based fight promotion will move on to 2011 with its new broadcast partner. Bellator will return from hiatus next year, launching its fourth season at MTV 2.